The San Luis Valley of southern Colorado is a unique, special place- a national treasure. Considered North America’s largest, alpine agricultural valley, the San Luis Valley is bounded on the east by the spectacular Sangre de Cristo Range and on the west by the San Juan Mountains. It contains the highest sand dunes in North America (The Great Sand Dunes National Park) as well as the adjoining Baca National Wildlife Refuge (BNWR), which protects a vast network of wetlands that are amongst the most pristine and biologically diverse in the American Southwest. The valley is underlain by one of the largest reservoirs of clean groundwater in North America, including an estimated 140 million+ acre-feet of potable water. The valley is home to significant elk, antelope and deer herds, over 45 rare, threatened or endangered species, and some of the oldest archaeological sites in North America, dating back some 11,500 years. The Pueblo, Ute, and Navajo peoples consider this valley and Mt. Blanca the most sacred places in the world. And over 20 spiritual groups, representing a variety of religious traditions, have retreat centers in the Crestone area because of the profound silence and pristine quality of nature here. And if anything unites the diverse Crestone/Baca community of about 1500, it is our shared commitment to living sustainably and preserving the natural beauty of this special place. But storm clouds are gathering on the horizon. Lexam Explorations, Inc., a Canadian company, has applied for permits to drill three 14,000-foot gas test wells on sensitive wetlands in the new Baca National Wildlife Refuge (BNWR) just 1.5 miles west of the Baca community. Lexam, formerly Challenger Gold, owns the 75% of the mineral rights under the new (2004) Wildlife Refuge. The other 25% is owned by Conoco-Philips. Lexam is headed by Rob McEwen, former CEO and still the largest shareholder of Canada’s Goldcorp, Inc., and current CEO of U.S. Gold. As CEO of Goldcorp, McEwen oversaw the development Canada’s largest gold mine. In August, 2005, he purchased Goldcorp’s 49.8% of Lexam for $400,000 (Canadian) or 2 cents a share. Now he and his shareholders are betting that their approximately $20 million investment will yield a “tcf,” or trillion cubic feet, of natural gas, worth about $6 billion at the wellhead. Lexam’s permits are such that, if they hit gas, the exploration wells are automatically converted to production wells…. and a gas boom will begin. 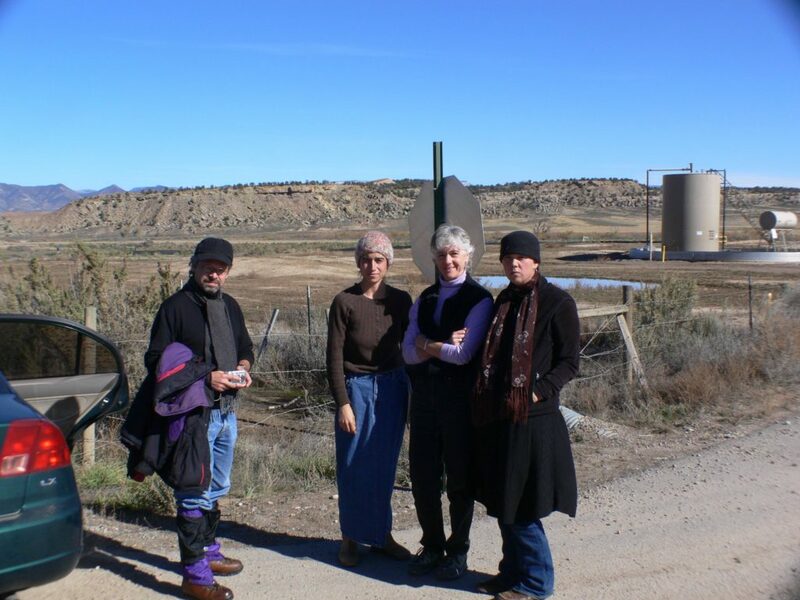 When our community first learned about Lexam’s proposed drill-play in August, 2006, a group of us began educating ourselves regarding the potential impacts gas production would have on our community and the San Luis Valley. Four of us traveled to Silt, Colorado to consult with Peggy Utresch, of the Grand Valley Citizen’s Alliance. Touring the gas fields south of Silt with Peggy, we were amazed and aghast at the environmental and social devastation the gas industry has wrought upon the idyllic and pastoral communities there. Peggy brought us to the house she’d lived in before Antero built a gas drill rig in her yard in 2003. Peggy began to suffer extreme, full body skin rashes from the air pollution (ozone and B-tex chemicals, among others) emitted by the well was forced to sell this house and move to New Castle. Indeed, just standing next to her former house and breathing the contaminated air caused three of the four of us to develop symptoms of dizziness, nausea, watering of the eyes, headaches, etc. which persisted for about a week after our trip. On our 3-hour tour, we saw and photographed many features that comprise the gas production infrastructure, including gas wells, well pads, dehydrators, gas-well combustors, condensate tanks, gas pipelines, waste ponds, hydraulic fracturing fluid containers, etc. We saw big hauling trucks raising dust and creating traffic hazards along quiet country dirt roads. What were once beautiful, even idyllic rural communities now have drill rigs, well pads, etc. dispersed amongst homes, cattle, horses, and goats. Sometimes a single house is surrounded by several wells. The pads themselves are comprised simply of scraped earth and are typically about 1 acre in diameter. We saw numerous lined ponds designed to hold drilling fluids and other wastes near the pads. In addition to smelling the air pollution, we also could see the damage that ground-level ozone causes to local vegetation. Upon returning to Crestone, we organized two community showings of the DVD film “A Land Out of Time” (www.alandoutoftime.com), a documentary that records the devastating impacts of gas exploration and drilling on communities and federal lands throughout the Rocky Mountain West. This current gas/oil boom, unprecedented in U.S. history, is due to: 1) the fast-track facilitation of fossil fuel extraction on federal lands resulting from Bush’s 2001 Executive Order 13212 (“Actions to Expedite Energy Related Projects”) and 2) Bush’s radical cutbacks of funding for the agencies charged with protecting our federal lands (the BLM, Forest Service, Park Service, and Wildlife Refuges). Peggy noted that a study showed that 90% of the changes local people wanted to see were already in the existing rules and laws- but these laws were simply not being enforced. Indeed, federal agencies typically pull people off of inspection duties and so they can concentrate on issuing more permits. Our group, Water Watch Alliance, also began helping Ron Garcia, manager of the BNWR, develop “best management practices” recommendations that he could pass on to the permitting agency, the Colorado Oil and Gas Conservation Commission (COGCC). And we identified the following areas of concern: 1) maintaining the integrity and quality of our unconfined and confined aquifers, 2) damage to sensitive wetlands and wildlife, 3) maintaining integrity and access to native American sacred sites, 4) doing baseline studies of air and water quality, 5) health concerns for humans, livestock, and wildlife, 6) noise, light and dust pollution, 7) damage to local roads from heavy traffic, 8) damage to local spiritual values and communities, 9) damage to native American spiritual values, graves, and archaeological sites, 10) inadequacy of inspections, 11) control of noxious weeds. The San Luis Basin is the northern extension of the relatively young (28 million years) Rio Grande Rift. Extensive drilling throughout the Rio Grande Rift, including the San Luis Valley, has not yet discovered commercially marketable amounts of gas and oil. However, Lexam claims that 27 of 42 shallow exploration wells drilled in 1992 and 1993 encountered “strong oil shows.” And Lexam’s geological consultants claim the seismic character of basin rocks is “remarkably similar” to that of the San Juan Basin to the west and the Raton Basin to the east, which are significant gas producers. Indeed, a map on Lexam’s website, entitled “Surrounded By Monsters!” shows the basins surrounding the San Luis Basin, including the San Juan, Raton, Denver, and Piceance Basins, have an estimated 90, 3, 6 and 23 tcf in gas reserves, respectively. Lexam is hoping that over 100 and up to 550 square miles of the Crestone sub-basin contains a 2000 to 3000 ft. thick package of Cretaceous rocks at depths of 7,000 to 17,000 feet. The stated purpose of the BNWR, by contrast, is to restore, enhance, and maintain habitat for wildlife, plants and fish species native to the San Luis Valley. Water is a vital and irreplaceable part of this protection. We of Water Watch Alliance believe that we have raised legitimate concerns regarding the adverse impacts to water and the BNWR that have not been addressed through the NEPA process to date. We also believe that some places are best managed for other uses besides energy development and that the Baca National Wildlife Refuge is one of them. Initially, BNWR officials told our community that they were NOT obligated to conduct a NEPA (National Environmental Policy Act) process because Lexam owns the mineral rights underneath the refuge. 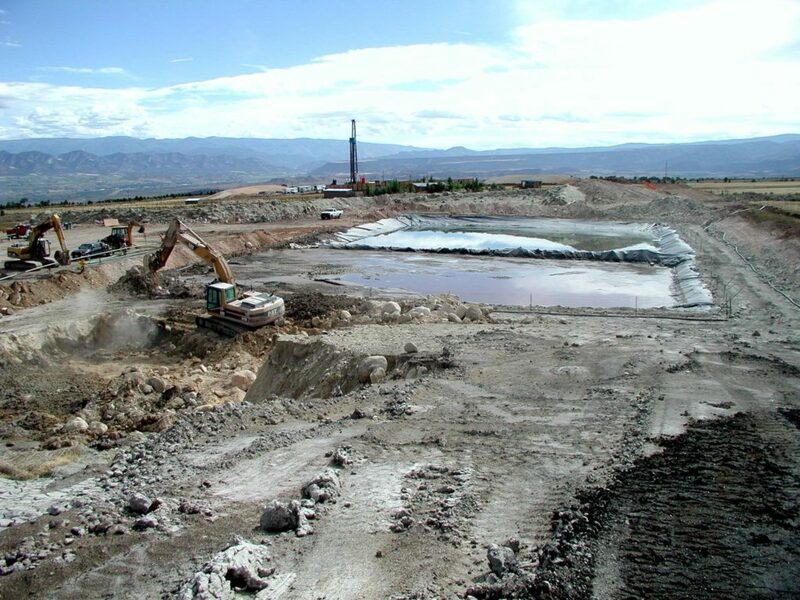 Subsequently, our lawyers from the Energy Minerals Law Center in Durango sued the BNWR to force the US Fish and Wildlife Service to conduct a NEPA process, as required by law. A federal judge agreed with our lawyers. So on August 7, 2007, Ron Garcia, the manager of the BNWR informed 52 of us by email that they would initiate an Environmental Assessment (EA)/scoping process at a public meeting 10 days later, August 17th. Despite the short notice, members of our community filled the meeting room and argued passionately and persuasively that the sheer scale of proposed drilling activity warrants a full Environmental Impact Statement (EIS) rather than simply the shorter, “rubber-stamp-version” Environmental Assessment. The response of BNWR representatives was to instruct us to submit our concerns in writing and that, by law, the US. Fish and Wildlife Service is obligated to address and respond to all public concerns in the EA. Indeed, NEPA was established to insure public and scientific input to determine whether or not a proposed activity on federal land would result in “significant impacts” to local physical, biological, and cultural environments. Activities associated with “significant impacts” require full-scale Environmental Impact Statements (EIS), whereas those with “no significant impacts” require the much less comprehensive Environmental Assessment (EA). Thus, in calling for an EA rather than an EIS, the BNWR was presuming there would be “no significant impacts” associated with the drilling. On January 18, 2008, the BNWR released the Draft Environmental Assessment, written by ENSR, a private company paid by Lexam. Given this inherent conflict of interest, it is not surprising that the EA is a FONSI (“finding of no significant impact”), despite the fact that the proposed drilling activity meets all ten criteria for “significant,” as defined in NEPA. ENSR and BNWR apparently used several devices to justify their FONSI conclusion. The Draft EA: 1) does not address impacts at all, 2) assumes a priori (but never proves) “no significant impacts,” 3) ignores the NEPA definition of and overwhelming evidence for “significant impacts,” 4) completely ignores the thousands of questions and concerns which citizens submitted in writing, and 5) limits the assessment to the drilling of exploratory wells only, not acknowledging that this “precedent-setting” activity could result in significant “cumulative” impacts if gas production occurs. At the public meeting held on February 12, again despite inadequate public notification, our small community again came out in force, once again filling the room. There, I asked ENSR’s William Berg, main author of the EA and himself an oil geologist, if it would have been possible for ENSR to have concluded that there were significant impacts. His reply was “no.” Also indicative of the inherent conflict of interest at this meeting, Berg challenged our community to prove that Lexam’s drilling would contaminate the groundwater. Although it is impossible to prove future occurrences, there is an abundant record of gas drilling accidents that pollute wells, springs, ponds, etc. Regarding EnCana’s gas drilling near Silt, Colorado, for example, Peggy Utesch stated, “We know that every day there are accidents in the field – just look at the (COGC) Commission’s reports.” Indeed, gas-drilling accidents recur worldwide. The public comment period on the Environmental Assessment is now over and we are awaiting the decision of the US Fish and Wildlife Service on whether they will let the drilling begin this summer or will call for a full Environmental Impact Statement, which would take another 18 to 24 months. Unfortunately, BNWR representatives seem to have redefined NEPA in such a way that they believe their only responsibility is to mitigate Lexam’s drilling activities. Thus, it seems that representatives of the BNWR, Lexam, and ENSR have always viewed the NEPA process as a “done deal.” If the US Fish and Wildlife Service approve the Draft EA as written, we anticipate that lawyers from the Energy Minerals Law Center will sue again and hopefully will force the BNWR to conduct an EIS, as they should have from the beginning. Certainly, we of WWA are concerned that the many thousands of comments and concerns we have just submitted to the BNWR regarding the Draft EA will also be ignored. And we are also concerned that in this process, no official group is representing the interest of the most valuable part of the BNWR “estate”, which is the water that belongs to the people of Colorado. Finally, we feel that, in this case, the property rights of American citizens, the U.S. government (the BNWR), and the state of Colorado (the water) should supersede those of a Canadian corporation. Our group has written a letter of appeal to Governor Ritter, asking him to consider helping us protect and preserve our unique, special valley as a NO-GO (No Gas and Oil Drilling) Zone. We are asking him to place a moratorium on oil/gas drilling until base-line water studies are conducted on our aquifers to help us understand their importance to this valley and to fulfilling Colorado’s commitment to the Rio Grande Basin Compact. We also believe that the newly-formed BNWR should complete their own CCP (Comprehensive Conservation Plan) before allowing such a potentially devastating activity as gas drilling on federal land. For more information, please check our website: http://WaterWatchAlliance.googlepages.com.